SAN DIEGO – The Navy is nine months into its new deployment model – the Optimized Fleet Response Plan (OFRP) – designed to keep carrier strike groups from unexpectedly long deployments and allow time for needed ship upkeep. The plan promises to make life more predictable for sailors and maintainers, but service officials are already running into roadblocks that, if not addressed by Navy leadership and Congress, could exacerbate gaps in overseas carrier presence and further burden the maintenance community. Under OFRP, an aircraft carrier is tied to the guide missile cruisers and destroyers it will deploy with, and the whole battle group goes through a 36-month cycle of maintenance, training, deployment and sustainment together. Then- U.S. Fleet Forces commanding officer Adm. Bill Gortney rolled out the plan in January 2014 as a way of protecting sailors from the growing length of CSG deployments and ensuring the ships would have enough time for the maintenance the ships need. 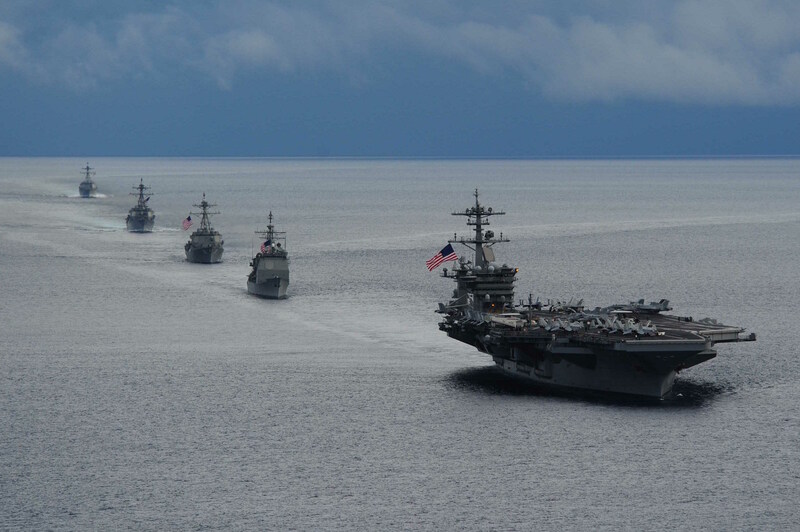 But Fleet Forces discovered there may not be a surge force ready to cover those presence gaps in the event the U.S. needed to quickly deploy a carrier. Navy leadership and the Joint Chiefs of Staff intend to stick to the schedule for the sake of sparing the ships and their crews from the stresses of long deployments, but strict adherence to the schedule would also result small gaps in overseas presence in 2016 due to the rigid nature of the OFRP template, said Rear Adm. Richard Berkey, director of fleet maintenance for U.S. Fleet Forces, during the American Society of Naval Engineers’ annual Fleet Maintenance and Modernization Symposium. In theory, the 14-month sustainment/surge phase would keep sailors at peak readiness by training at the ship’s homeport and deploying overseas only if an emergency dictated additional presence. 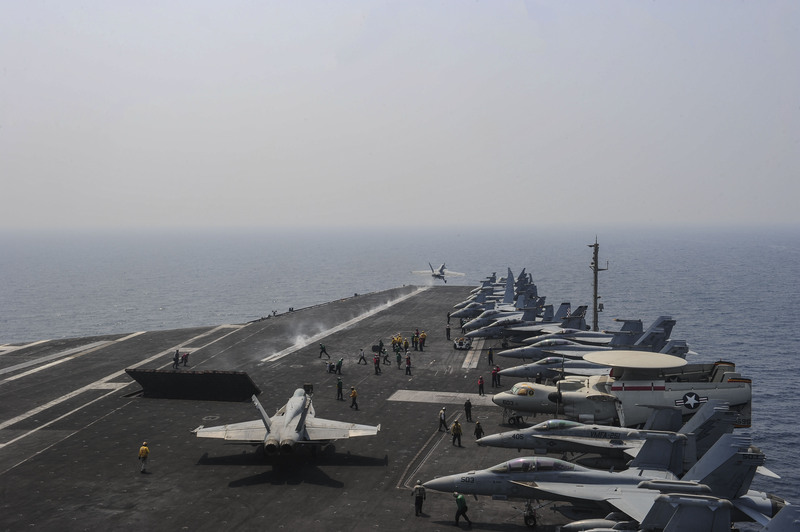 But Berkey, along with Commander of Naval Air Forces Vice Adm. Mike Shoemaker, said the sustainment phase currently has no funding associated with it, and therefore the carrier strike group may lose its readiness and qualifications and be unable to respond quickly if called upon. “I call it ‘sustainment opportunity’ because right now it’s not funded,” Berkey said during a panel presentation at the conference. 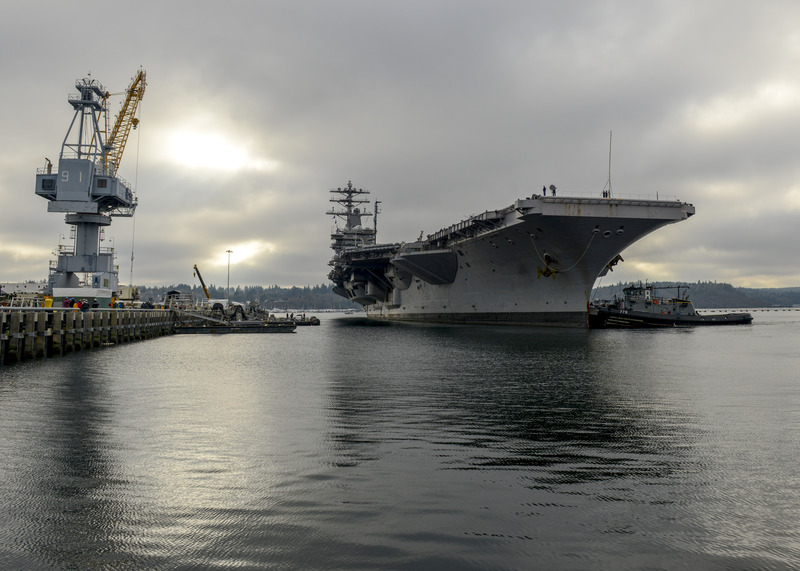 Shoemaker agreed that additional resources would be needed to make use of the sustainment period but said that the Navy does not have a history of funding carrier strike groups to maintain high readiness while at their homeport. Under OFRP, he said, that would leave nine more months without funding before the 36-month cycle started over and the ships went into their maintenance availabilities. The potential inability to surge quickly is important because OFRP will inherently leave gaps in overseas presence, the admirals said. The Navy in recent years has tried to avoid gaps in the Middle East and Western Pacific, and has done so by extending deployments – sometimes to nine or ten months, versus the seven months that Chief of Naval Operations Adm. Jonathan Greenert promised the fleet to avoid burning out sailors and hurting the ships’ material readiness. This demand-base model gave combatant commanders (COCOMs) the presence they wanted at the risk of stretching the fleet too thin. “There’s a pretty significant debate going on right now – debate’s probably not the right word – a battle going on right now between the COCOMs on what they want and what the Navy says you’re going to get,” Berkey said during his presentation. Berkey told USNI News after the panel that 2016 would definitely include overseas gaps in carrier presence. News broke earlier in June that after the Theodore Roosevelt CSG leaves the Middle East this winter, U.S. Central Command will have to wait one or two months before the next strike group arrives. “We, Navy, have already submitted our plan and it’s being discussed, I think it’s already been blessed through the chain,” he said. “Now we’ve presented leadership with, here’s your alternatives,” he said, referring to the potential to have a surge force in waiting – if the service can find funding to keep the ships, the crews and the air wings at a proper readiness level. Despite pushback from the COCOMs, Berkey said the Joint Chiefs of Staff are supportive of OFRP and intend to stick to that model. In fact, the Navy is working on developing a similar model for the Amphibious Ready Groups (ARGs) that carry Marine Expeditionary Units around the globe. “We’re currently working with [U.S. Pacific Fleet] right now on making that work to become a supply-based model as opposed to a demand-based model,” Berkey said. 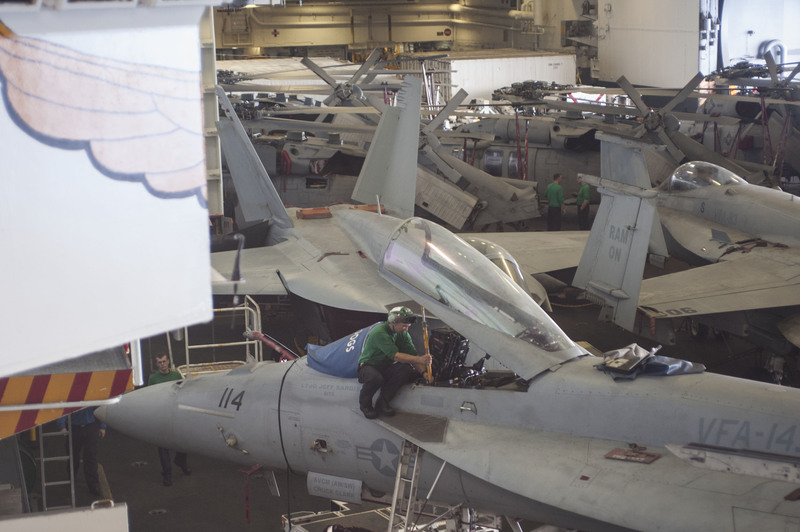 If the sustainment/surge period for a carrier strike group were unfunded, the entire carrier air wing would risk losing their qualifications – bad for the pilots both in the short term and long term, Shoemaker said. Using the Bush and CAG 8 example – in which the sustainment phase was funded for only five months – Shoemaker said that would leave another nine months of minimal activity before six months of maintenance when the OFRP cycle restarted, creating a 15-month gap for the air wing. “That’s not good for our young aviators who are working up,” Shoemaker said. After struggling with how to spare the pilots and air crews from long lulls in activity, Shoemaker said he decided that the air wing would not be permanently tied to the aircraft carrier, the way they have been in the past and the way the cruisers and destroyers will be going forward. Instead, the carrier and its accompanying ships will go through the OFRP cycle together, and when they reach the beginning of the training phase the next ready air wing will join them only through the training and deployment phases. 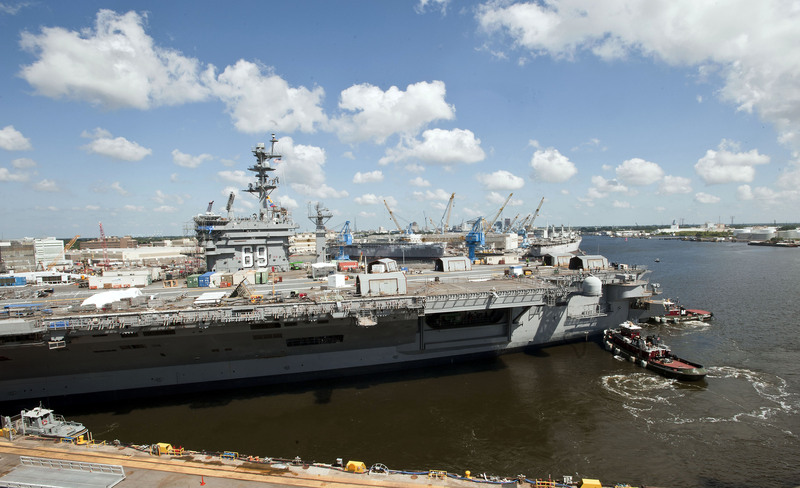 Shoemaker said this has always been a problem to some extent – when a carrier goes into a four-year refueling and complex overhaul, for example, or when USS Dwight D. Eisenhower (CVN-69) unexpectedly spent 23 months in maintenance. However, he said OFRP has this problem built into every carrier’s deployment cycle for the foreseeable future. “That solution, to marry up the next air wing with the next ship, I think will give us less white space for [the aviators],” he said. Shoemaker told USNI News after his keynote presentation that qualifications sometimes lapse during deployments, when operational needs may not allow pilots to go out and perform a certain kind of mission simply for the sake of staying qualified. So the months directly following a deployment are important for the air wing. The crews need about 10 to 14 days at sea when they come home and again every two to three months during a sustainment period, and Shoemaker said he’s not confident they’d be funded to have that at-sea time under OFRP as it stands today. A key principle of OFRP is that the entire strike group stays together throughout the entire 36-month cycle. Inherent in that is that the ships would go into maintenance together and come out together. But simultaneously working on all of the ships in a CSG may be beyond the capacity of the yards. “The challenge to me is, lets say you want four destroyers in a battle group, all to come out at the same time in one port? That’s a real challenge,” Naval Sea Systems Command (NAVSEA) commander Vice Adm. William Hilarides told USNI News after his keynote speech. He referenced a Surface Ship Master Plan effort being overseen by Rear Adm. Bill Galinis, NAVSEA deputy commander of surface warfare and commander of Navy Regional Maintenance Center, to map out all the maintenance and modernization needs of the fleet at all the Navy’s regional maintenance centers to help balance out peaks and valleys in shipyard workload. “This will let us then look to see, should we move one a little earlier? Is there a place we could take a little risk on the training side? But we’ll have to work with the fleet, because OFRP says we gotta deliver them all together,” he said. Galinis told USNI News later during the conference that OFRP has created some friction between the maintenance and operations communities but has also led to a good dialogue about each group’s needs. “Your big rub there is, the challenge of OFRP is … all those ships [in a carrier strike group], they go through maintenance together, they go through training together and they deploy together. So what our challenge is is to be able to take all that work from all those ships and try to schedule it for roughly about the same time, and to get all that work done on time. So that’s our challenge,” Galinis said. “Now, in a port like Norfolk or San Diego, we have big shipyards, a lot of people, a lot of ships. You can kind of absorb that type of workload. When you go to Mayport, they’ve got like 10 ships down there,” and typically cannot work on more than one or two destroyers at a time. The plus side of sending the whole strike group through the yard at roughly the same time, however, is that all the ships end up with the same versions of weapons and computers and other systems, ensuring interoperability within the battle group. Berkey said the Navy is creating a nine-year plan for the strike groups – three cycles of OFRP – which allows greater advanced planning for modernization work. 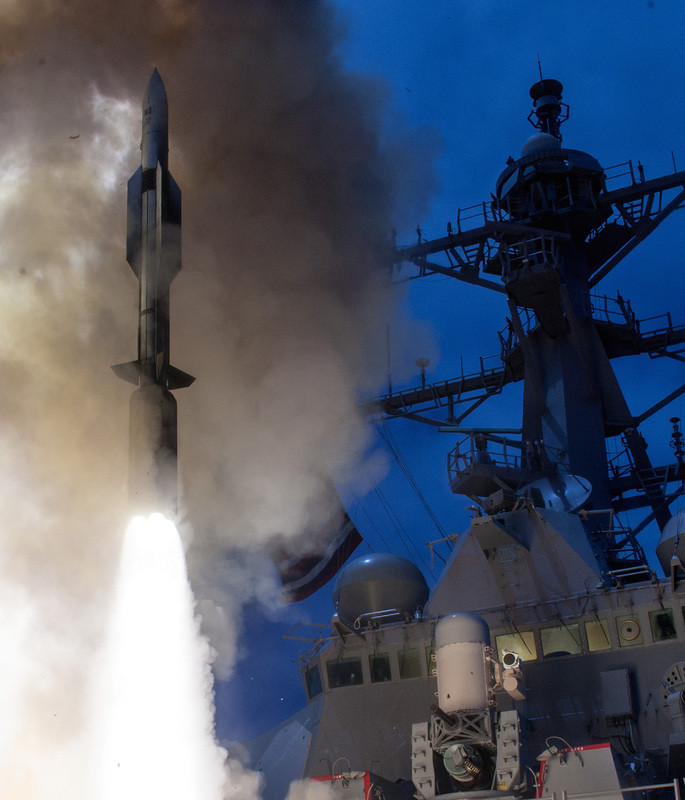 “For a strike group that’s going to deploy nine years from now … they can plan for the modernization that has to happen for those particular ships in order to get that right,” he said. Rear Adm. Christian Becker, Program Executive Officer for C4I and PEO Space Systems, agreed, saying that one of his biggest challenges is “the disconnect between the pace of technology and what’s available, and our ability to deliver that technology safely … with the right training and the right maintenance and the right sustainment behind it.” Baseline variance in the fleet complicates those efforts, but OFRP would all but eliminate variance within a single strike group. For Rear Adm. John Neagley, Fleet Readiness Director at the Space and Naval Warfare Systems Command (SPAWAR) who oversees the installation of the systems Becker procures, upgrading the networks and computers on an entire strike group at once should help keep costs down. “If you can buy more systems then the contractor should show you cost savings, economic order quantity, so you should get a discount on that price,” he told USNI News at the conference. It’s not lost on those in the engineering community that the maintenance availability comes first in the OFRP cycle. Maintenance as the cornerstone of the cycle was designed to keep the availabilities stable and predictable. “To me, the fundamental shift from what we’ve done before is, it puts maintenance first,” said Rear Adm. Mark Whitney, NAVSEA deputy commander for logistics, maintenance and industrial operations. But Neagley argued that pressure could be a good thing. “It’s something we absolutely have to do, we have to have a way to predictably generate a ready force so that the [type commanders] can know what’s available to do those missions. So you have to put discipline in that process. And that pressurizes certain areas of that process, and certainly the maintenance and modernization is an area that’s pressurized,” he said. Neagley said the Navy could overcome this challenge with good prior planning – defining work packages early, allowing realistic amounts of time to accomplish that work, building in time for unknowns and other basic tenets of ship maintenance and modernization. “That’s the starting point; if you don’t finish on time, it has a cascading effect for the rest of the process, so you’re impacting the crew’s ability to train, the strike group’s ability to train together,” he said.